Typically, Indians have bought life insurance as a tax-saving or investment option. However, we believe insurance is a pure risk-cover instrument. It ensures financial security of your family in case of the pre-mature demise of the breadwinner. There are hundreds of insurance plans available in the market. We have access to the offerings of all the public and private insurers. Choosing the right plan for you goes beyond comparing the cost of insurance policies or the insurance premia. We have the expertise to help you choose the best life insurance plan to secure your loved ones. For many, the primary motive for buying life insurance is tax savings. However not all insurance premiums are tax free. Tax deductions for life insurance is subjected to the upper limit under various sections of the Income Tax Act. You should also keep in mind that this exemption limit may not exclusively be for insurance products and may be clubbed with other savings such as PF Contributions, Housing loan interest, etc. Life insurance should only be treated as a risk coverage instrument. Health care costs in India are rising twice the rate of inflation. In a scenario where most Indians borrow in order to get medical treatment it is extremely important to financially secure yourself with adequate health insurance. I have a company cover. Hence I do not need a separate health cover for my family. Most companies provide a conservative cover of anywhere between Rs. 2 to 5 lakhs. This leaves you unprepared for any major medical emergencies which may cost a lot more in today’s times of rising medical costs. Secondly, the cover is provided till the time you remain employed with the company. In the event that you move to a new job or quit your current job, the track record that you have built in health insurance at your old employer will not transfer to the new company policy. Moreover, the health insurance provided by the employer stops on retirement – just when you need it the most. At that age not only is health insurance more expensive, if one has already developed some medical problems it could be impossible to get yourself insured. The wise thing is to buy a health cover for your family when you are young and in good health and secure a stable financial future. Choosing a health insurance cover is a simple process entailing comparison of premiums. Why do you need expert advice? The amount of health insurance cover that your family needs requires an analysis of prevalent cost of common medical surgeries, family medical history and your current lifestyle. Today there are various types of health insurance products in the market – Mediclaim, Fixed Benefit Cover and Critical Illness Cover. Each product has its unique features and sub-limits on various expenses. We help you choose the most appropriate plan for you. There are insurance policies that protect you against damages other than those covered by life insurance. Certain risks such as fire, theft, accidents and natural calamities are covered, to ensure that you and your family are protected from unforeseen losses. The coverage period for most such plans is usually one year, and premiums are normally paid on a one-time basis. This covers the risk of damage to your vehicle in case of accidents, thefts etc. The level of coverage indicates what you claim if your vehicle sustains losses. This coverage is usually limited to the period of your travel (overseas or domestic). Amongst others, this would insure you against travel related losses such as personal accidents, hospitalisation, delayed baggage, hi-jacking, loss of money, passport or baggage and cancellation of journey. This is an insurance that repays some or all of a loan under circumstances such as unemployment or death of a borrower. This is a policy that provides compensation against an accident, disability or injury. It is different from life, medical or health insurance. Every insurance policy should be taken after carefully assessing the coverage and exclusions under the policies. 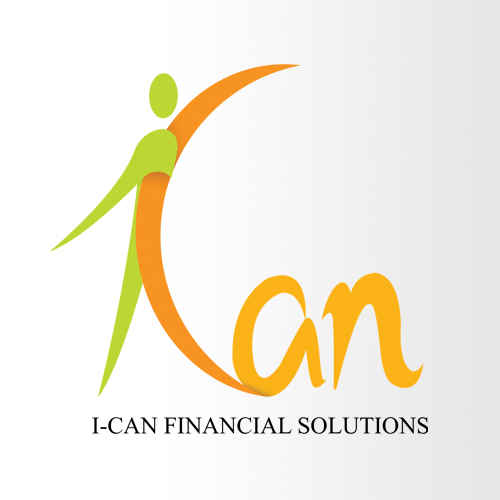 We at I-Can offer guidance in evaluating the suitability of the available insurance products for you. We also offer insurance solutions for corporates and institutions. Please contact us for customised proposals.